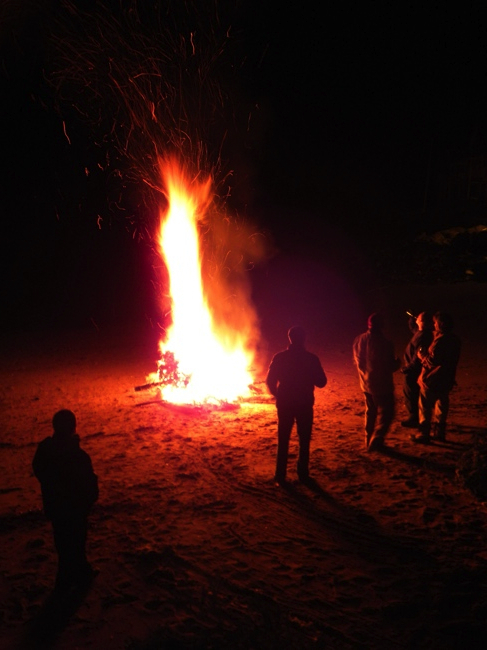 A group of neighbors like to celebrate New Years Eve with a bonfire on the beach. Residents set their trees outside, and they’re collected and dragged to the beach. The trees are set on the blaze one-by-one. Not only is it a convenient opportunity to dispose of your tree, but of course there’s satisfaction of watching your tree flare-up as you party the night away. The regulars stay all night, while others merely watch a few. Just so you know, the photo shows a 10 to 15 foot flame that’s produced by one Christmas tree. ← Looking Forward to a Promising 2011 Season.